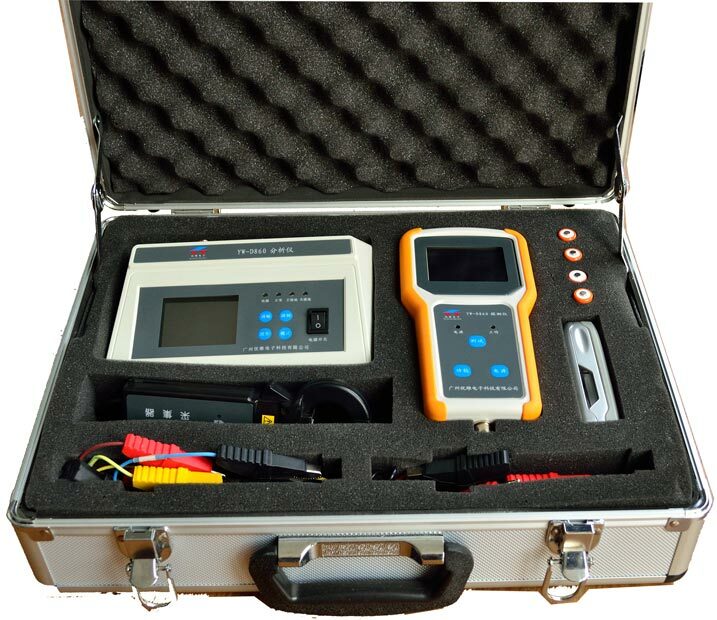 YW-D860 can be used to detected that all kinds of insulation faults and AC fleeing into DC fault and DC-loop fault in DC system voltage level 24V/48V/110V/220V. (1)Function of DC-system grounding voltage measurement and Insulation resistance measurement. (2)Function of testing the AC fleeing into DC and grounding fault Point Location. (3)unction of system equal capacitance to ground measurement. (4)Function of Ring network detection and location. (5)The analyzer have amplitude modulation, frequency modulation, signal waveform selection function. (6)Function of branch grounding fault Point Location and branch insulation resistance measurement. (7)Function of display the fault current waveform curve and fault direction. (8)Function of Signal spectrum analysis. (10)A variety of caliber of AC clamp ammeter and DC clamp ammeter,the device can automatically identify. 29、Transmission rate:2Mbps,Due to the air transmission time is short,Greatly reduce the collision phenomenon in the wireless transmission. 30、Multi-frequency point:125,Meet the requirements of multi-point communication and frequency hopping communication. 32、Low power dissipation:When work in answer mode communication,Fast air transmission and start time,Greatly reduces the current consumption.